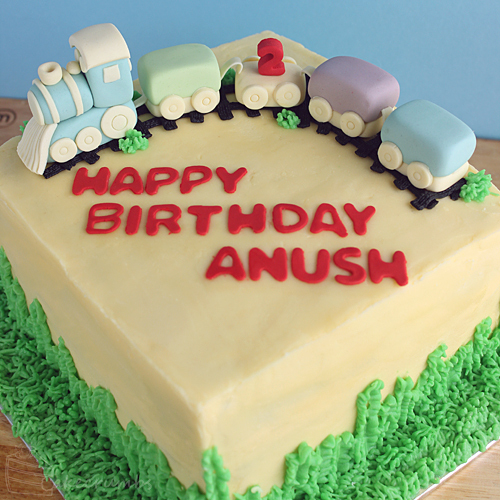 Unlike most of the occasion cakes I make, this one is predominately buttercream. 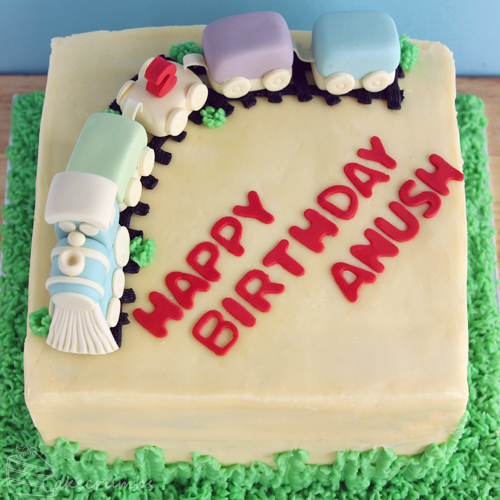 The buttercream was vanilla, some of which I tinted green and black to pipe the grass and tracks. 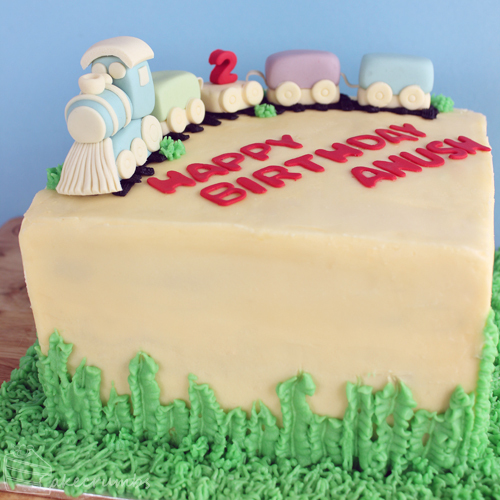 The train and lettering is all marshmallow fondant. It took me a weirdly long time to get into my stride for this one. I’d spent the week previous making a realistic cake (which you guys will see next week) and then when I had to revert to cartoon style I was totally failing at it. I had to re-do the train about three times, it was so weird. Got there in the end. I don’t have any inside pictures of course, but inside was red velvet cake. When discussing cake options the customer asked me to suggest a few moist cake options. They’d never heard of red velvet cake (it’s not big here in Aus like it is in the States) and decided to go with it. 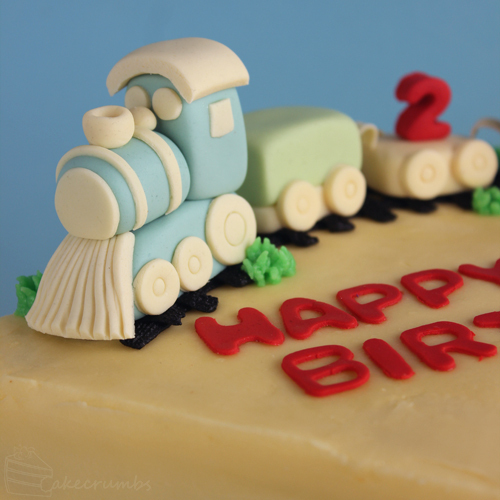 It’s always a little nerve-racking when giving someone a cake flavour they haven’t tried before, but I was told after everyone loved it so that was a relief!